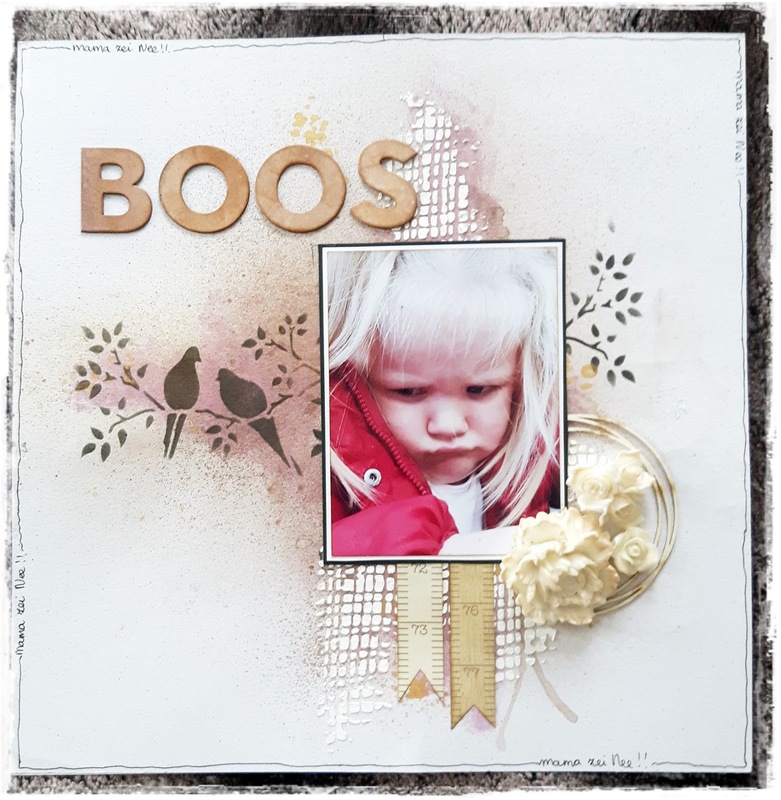 finally another album from me again. 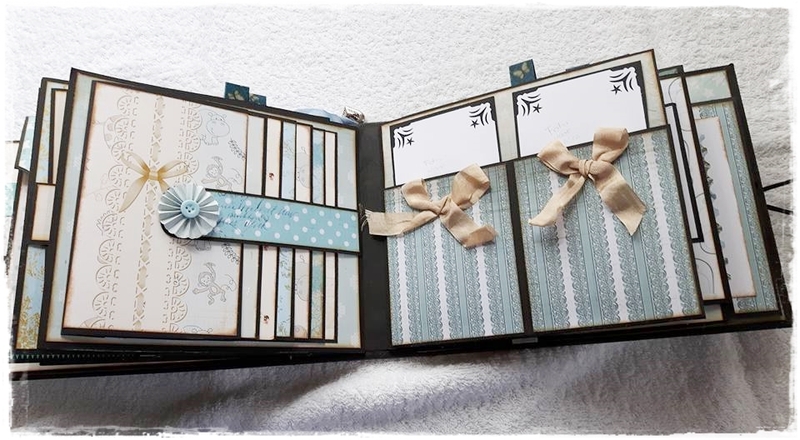 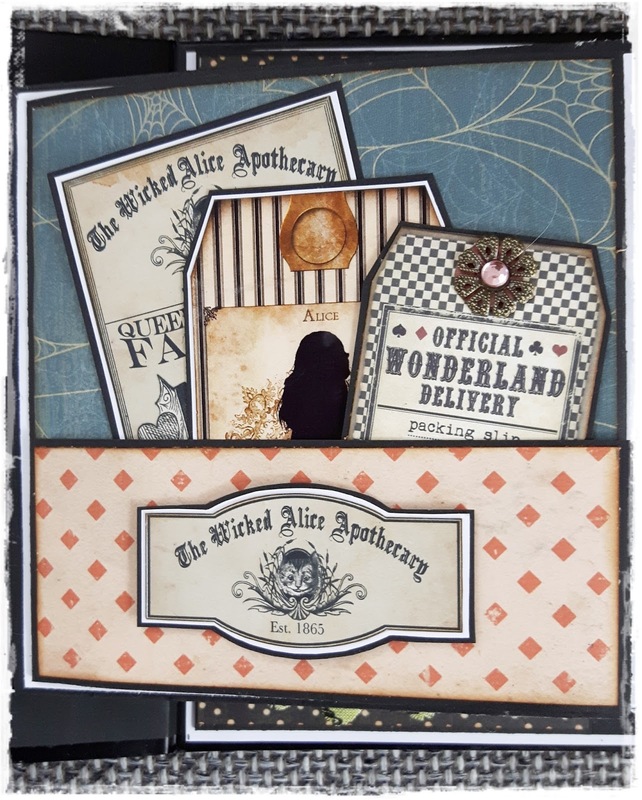 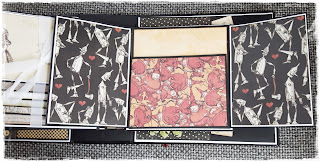 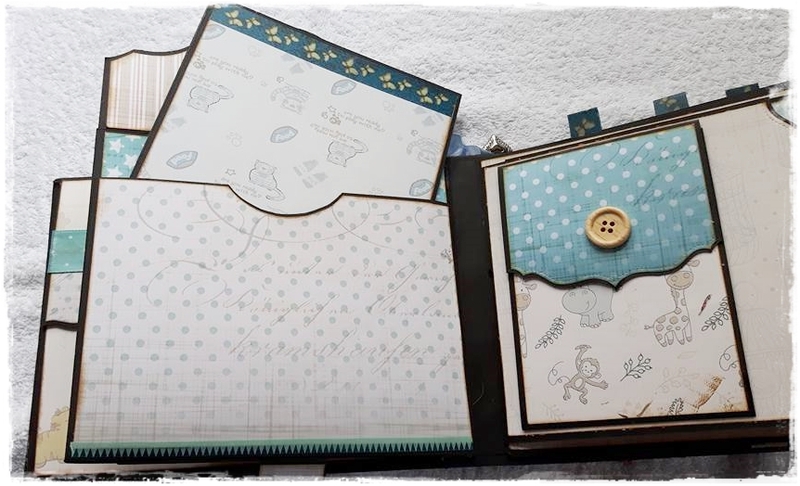 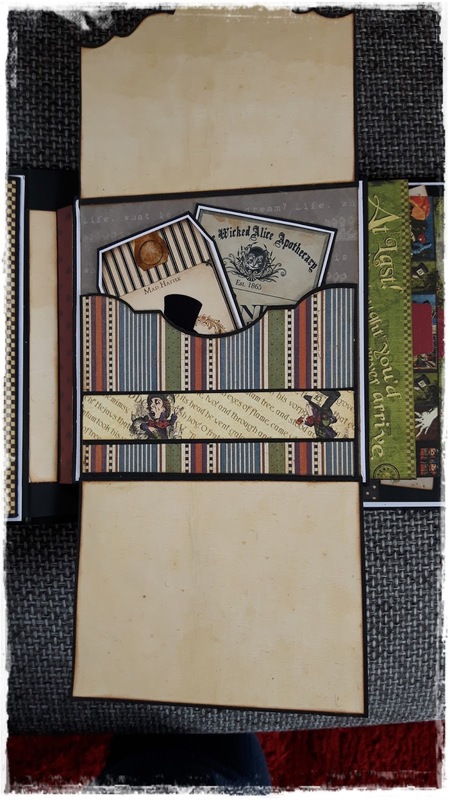 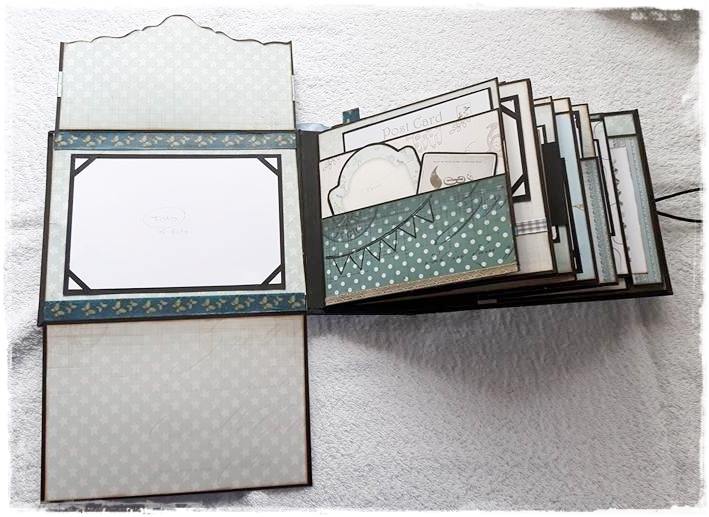 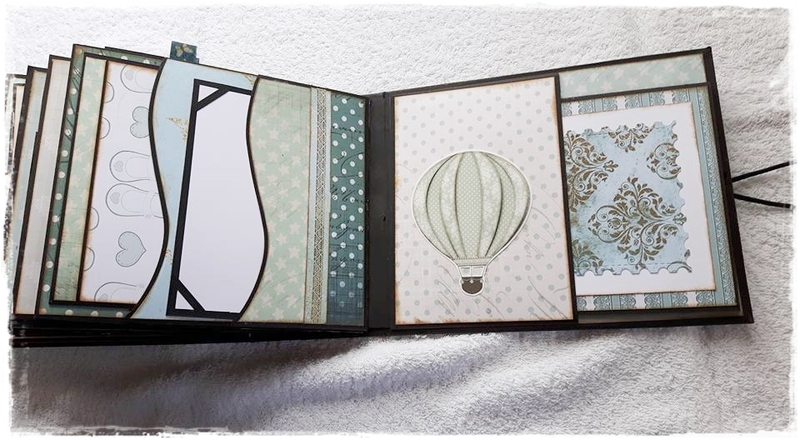 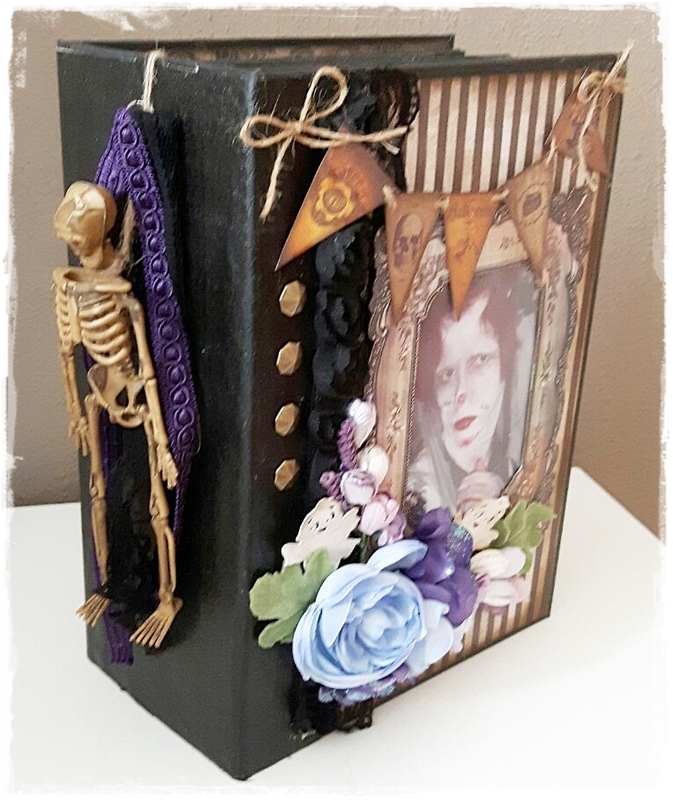 I got a request if I would like to make an album with the digital paperlines of Anja the Dobbelaere who has a store on Etsy. 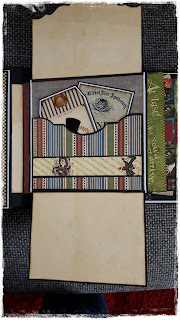 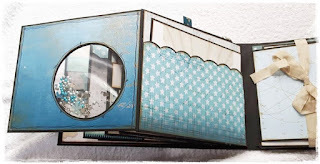 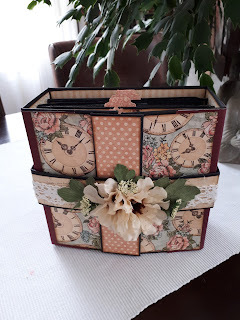 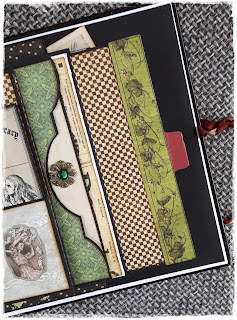 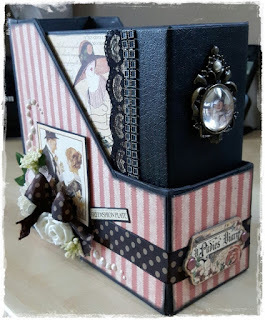 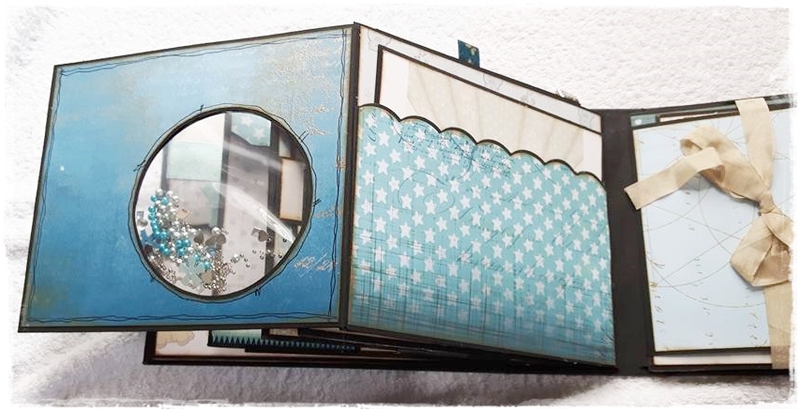 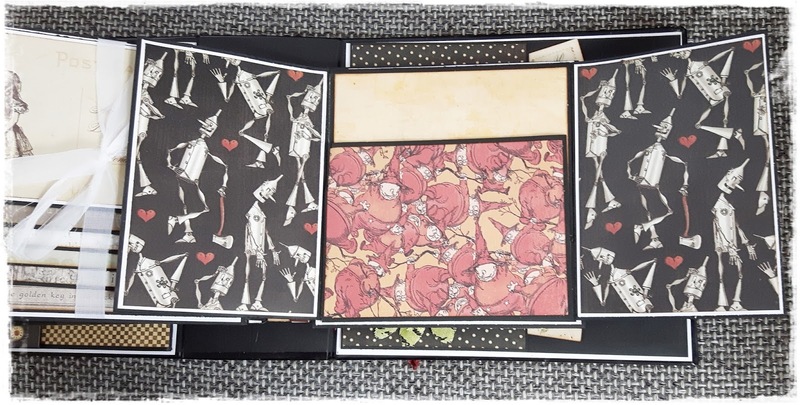 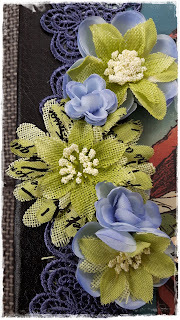 I have made this album with her paperline and its all about time and clocks because I love mixed media and steampunk. 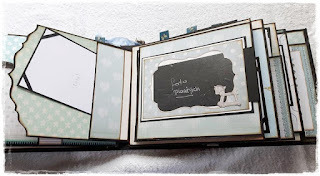 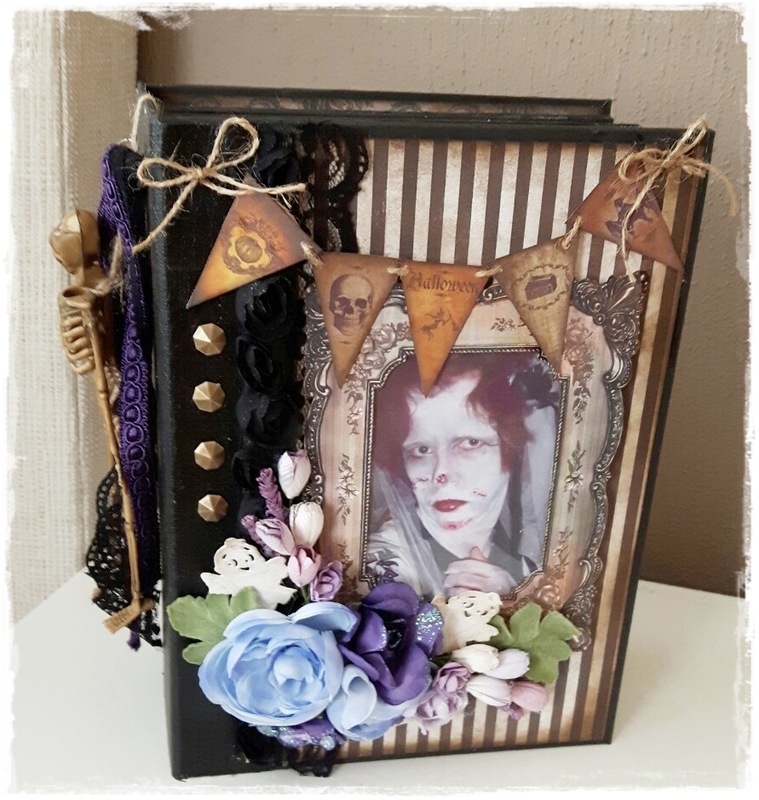 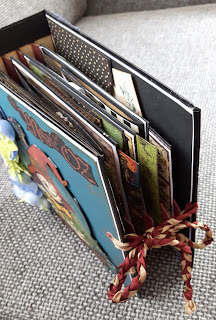 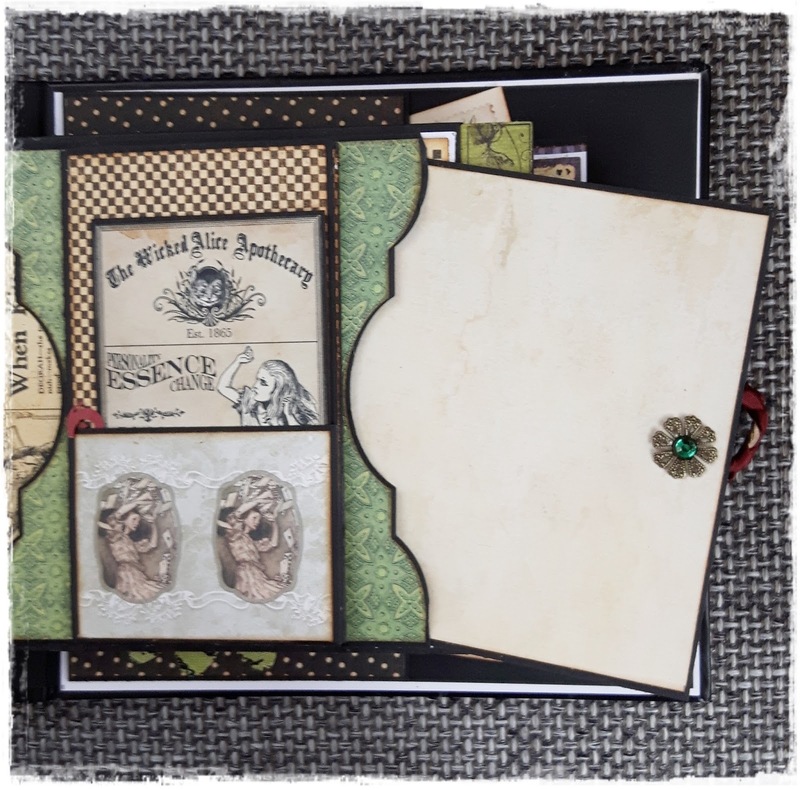 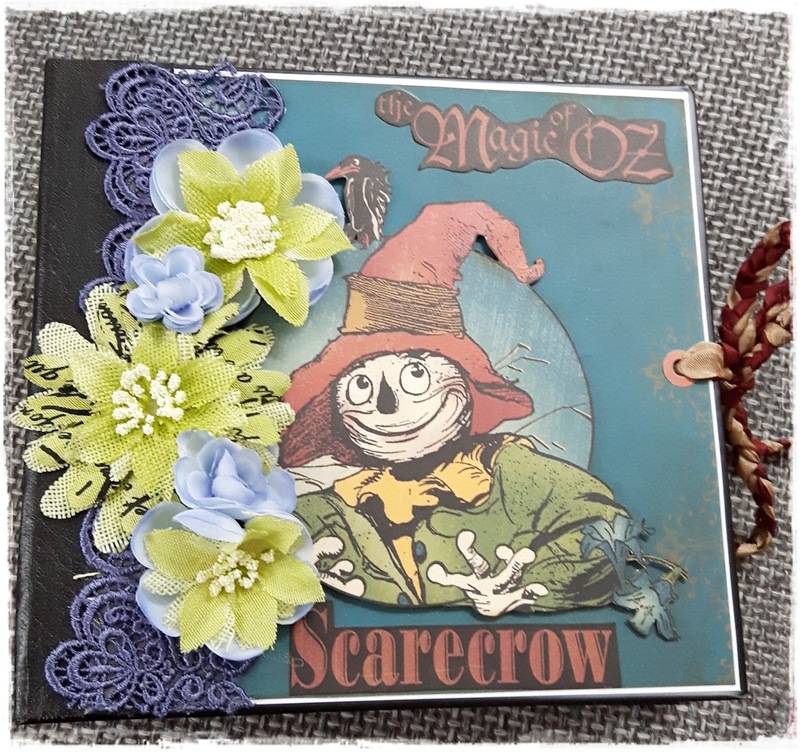 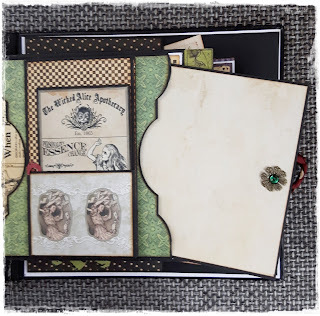 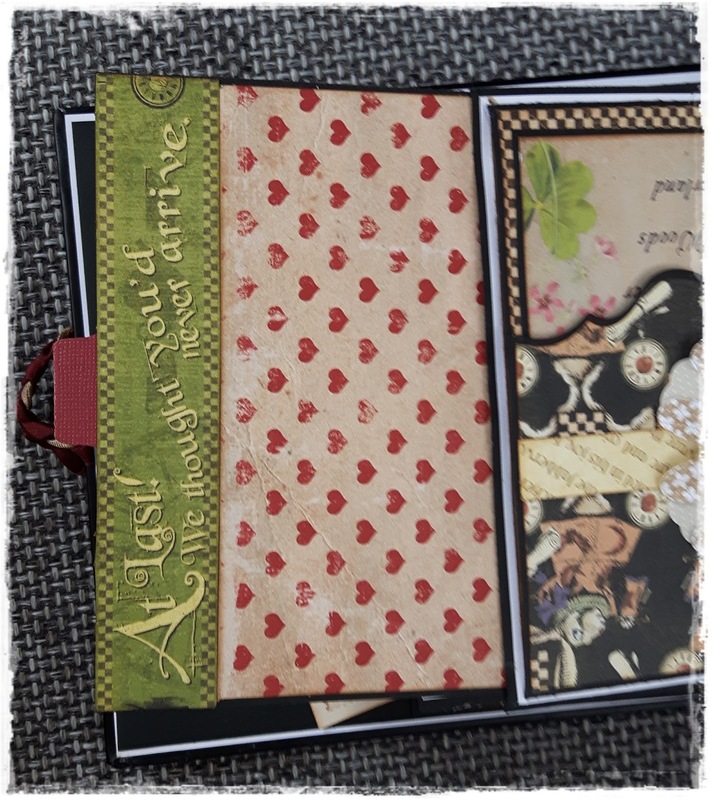 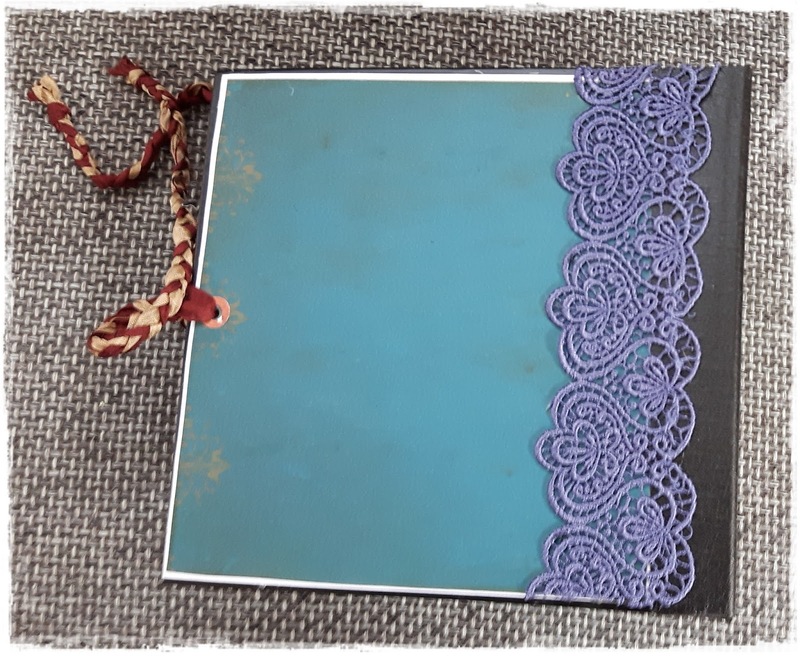 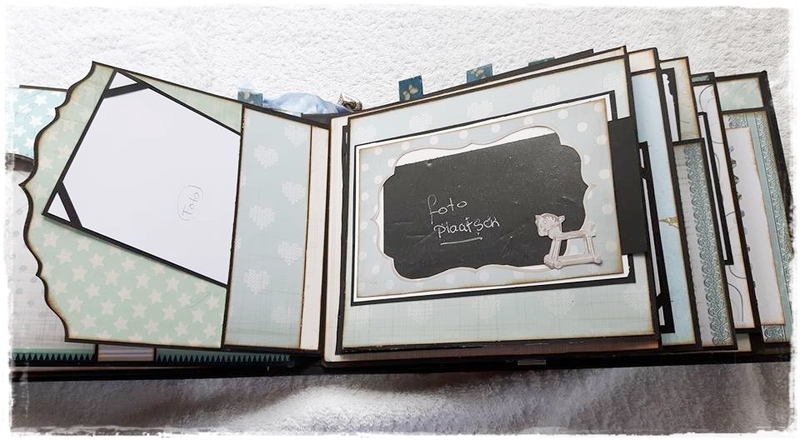 I thought lets do that on the front of the book , to be honest its my first time I have used it on an album , have been doing other projects with mixed media but not on an album and it most surtenly won't be the last, its such great fun to do hope you like it . 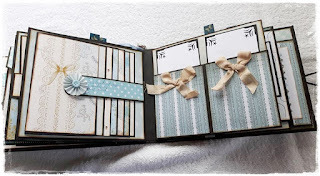 I made another book, this time its a christmas album I used the printable paper of vectoria design. 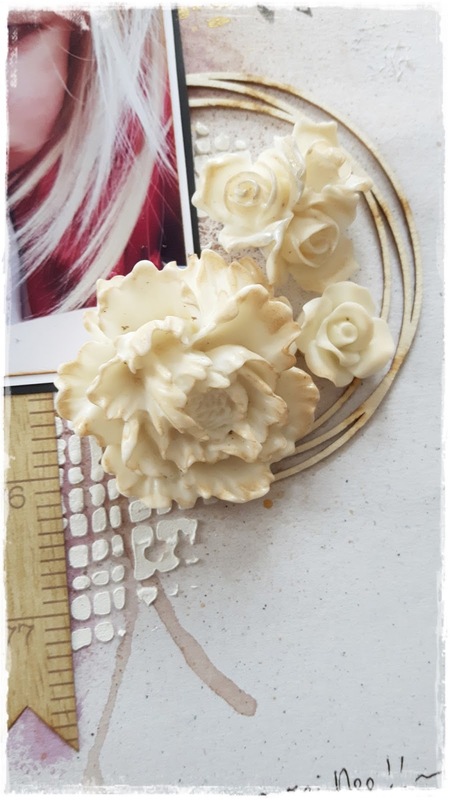 you can bye these in her etsy store , I will place the links to her down below. 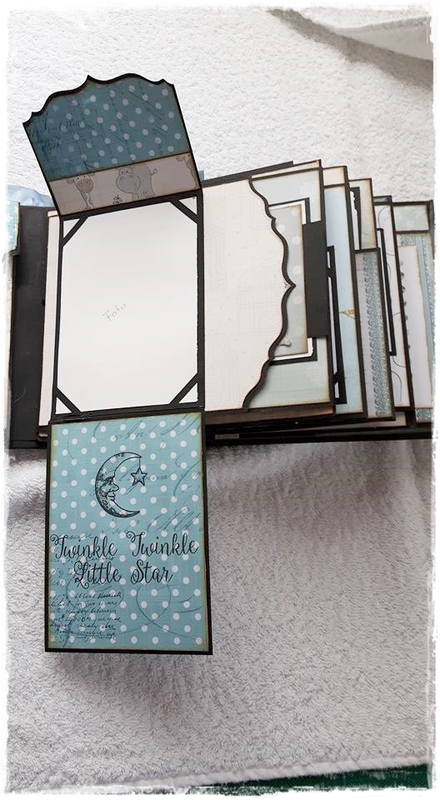 I wanted to make a diagonal album , it gave me a bit of a struggle but it worked out fine I think . 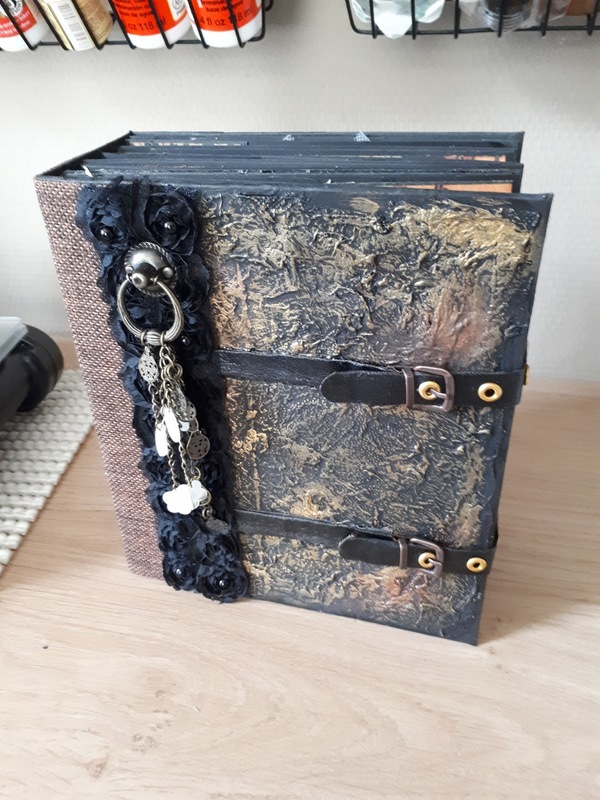 had to place a bronze closing pin because the magnet wasn´t strong enough I found out, I have bought that one in the Ali express store just as the bookbindings linnen in snake print. 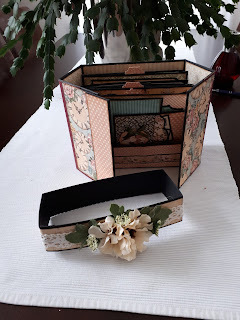 hope you like my abum , I am sorry my voice wasn´t that good had the flue the week before and still was not 100% ok but wanted to show it to you so I can send it on the mail in time for Christmas . 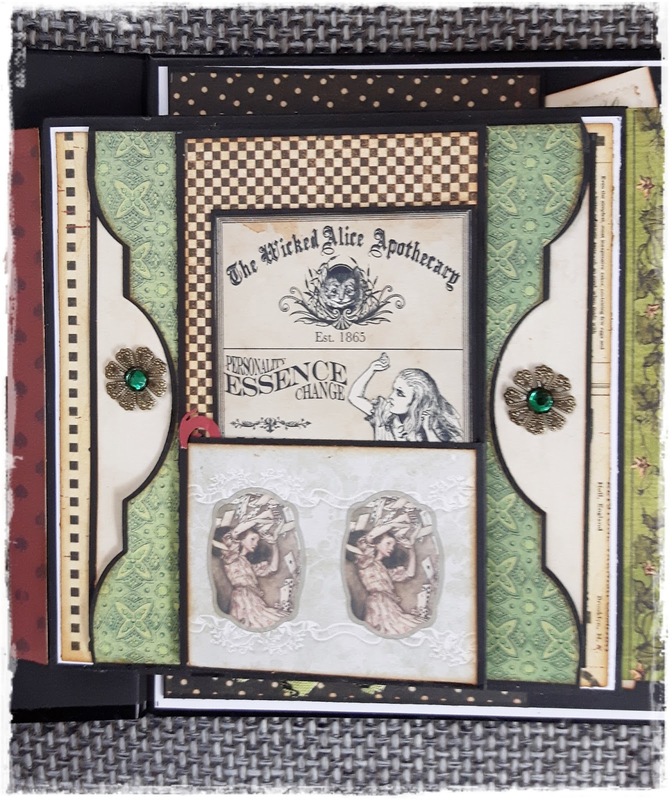 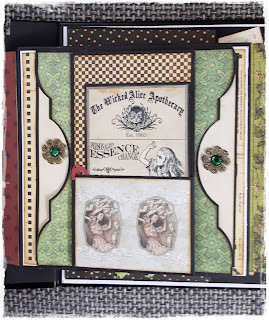 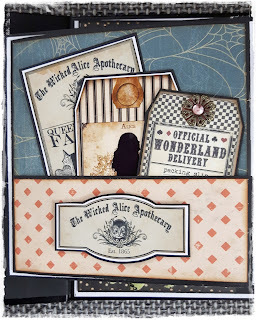 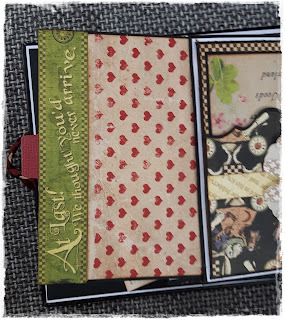 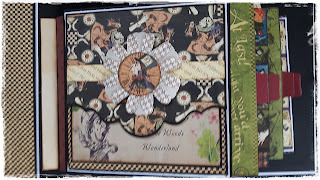 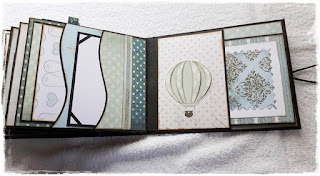 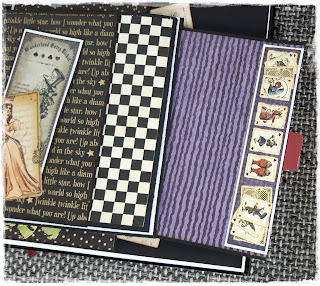 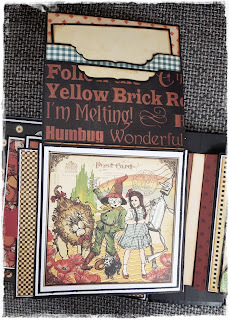 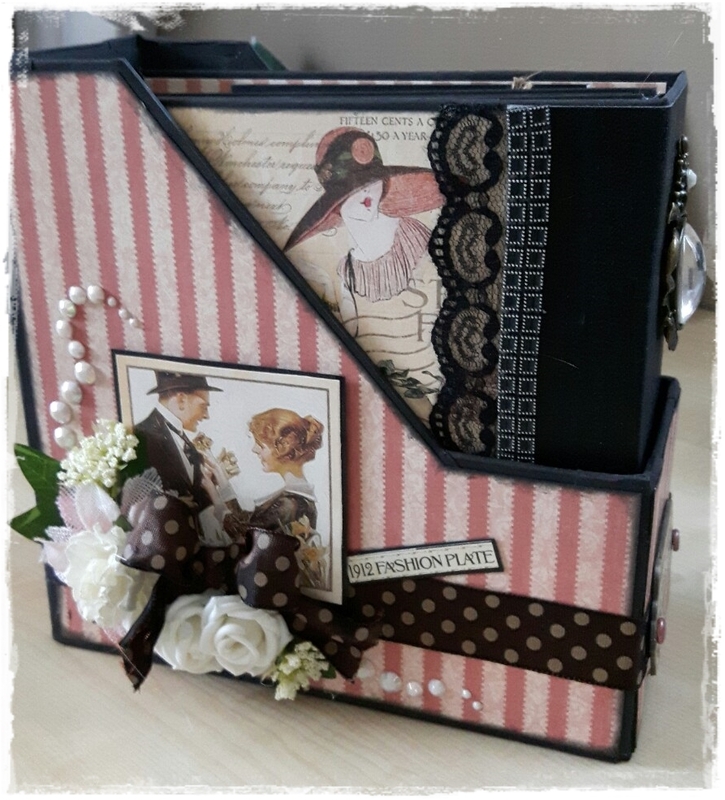 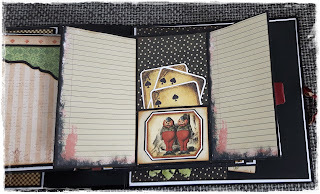 just wanted a challenge because I normally use the romantic vintage girly paperlines but this was a mens paperline. 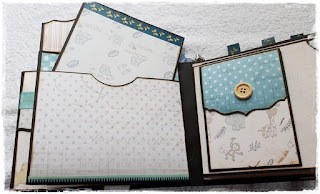 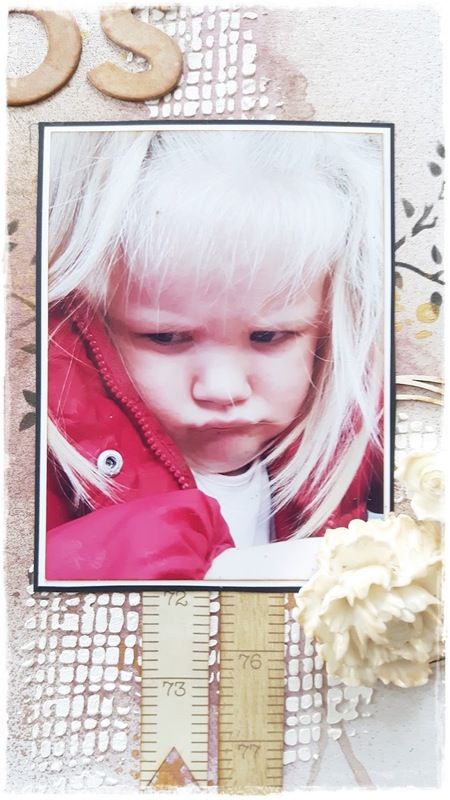 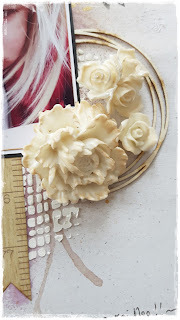 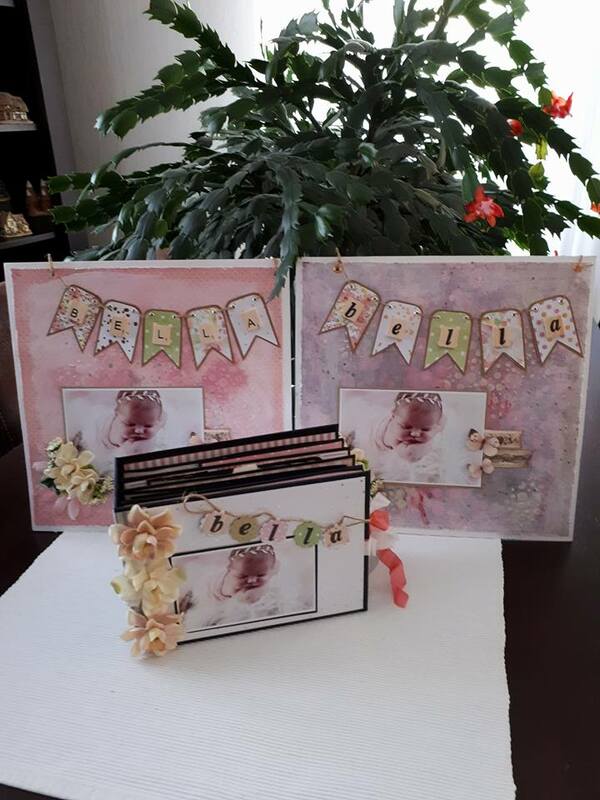 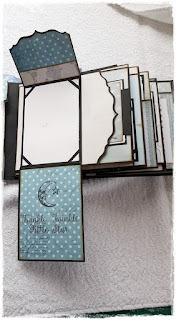 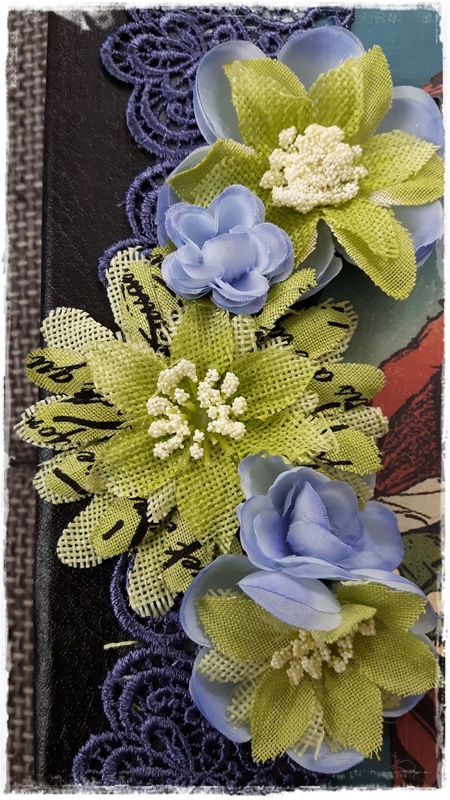 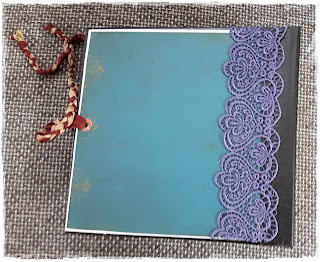 in this book I used the newest edgie dies of Crealies that will be in her store at october 31 and they are GREAT to work with I can tell you, just love love love her dies,. 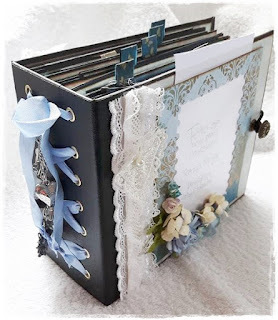 down below I will place the links to her store with the ones I have been using in this book . 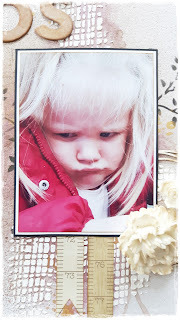 sorry for my english its always difficult I am always stuttering trying to find the right words for it hahaha. 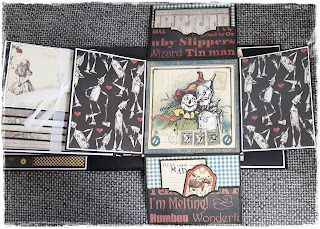 I would like to show you all what great fun it is to work with self printed paper from the Etsy store. 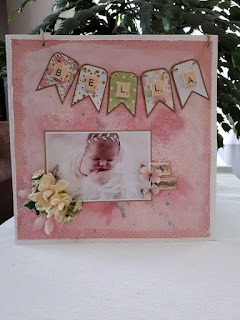 yes its very good to work with this album is for a lady who gave birth a while ago to a gorgeous little girl named Saar. 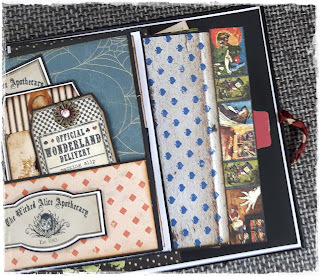 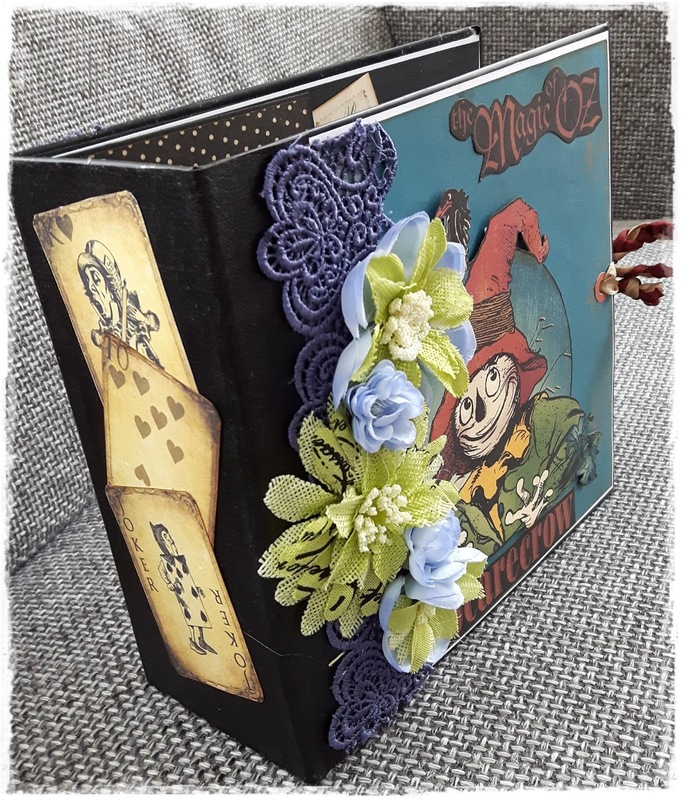 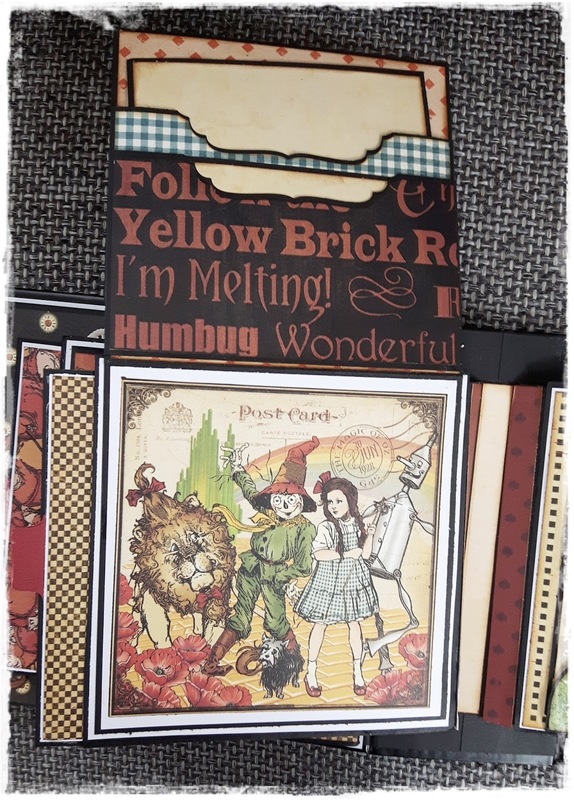 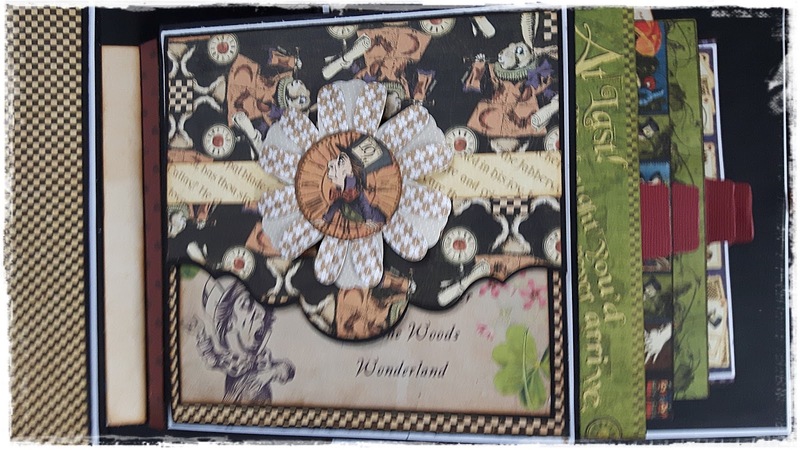 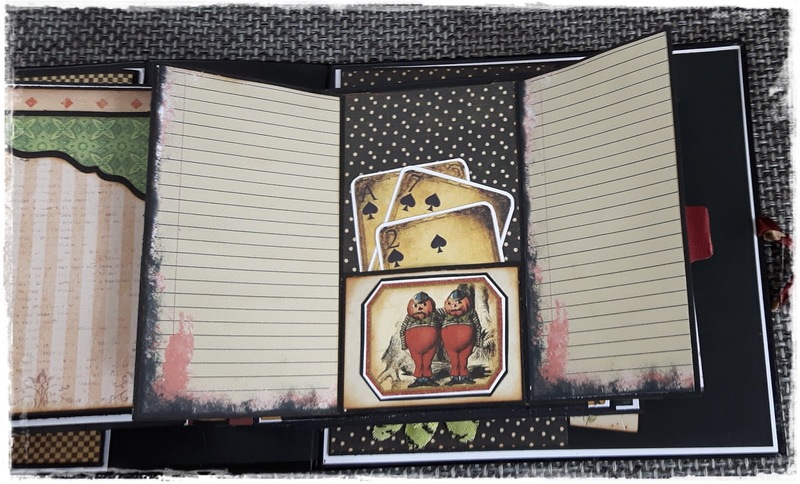 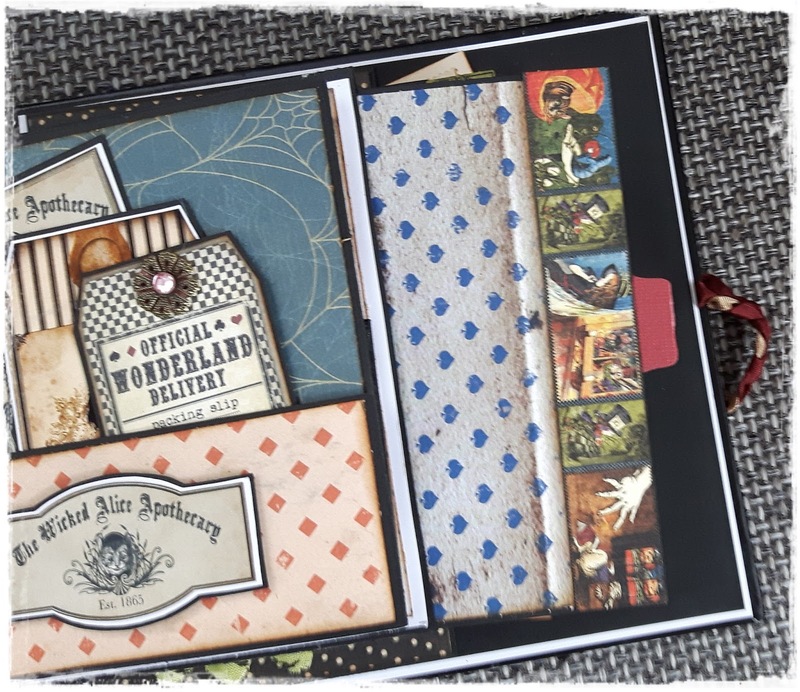 en hier hebben we Alice in wonderland met het prachtige papier van Graphic 45 en gemixt met papier van Vectoriadesign die ook prachtig papier heeft van Alice in wonderland, die moet je wel zelf uitprinten maar dat gaat perfect ... ga daar gerust eens kijkje nemen via Etsy.... dat combineerde zo goed dus was heerlijk om mee te werken. 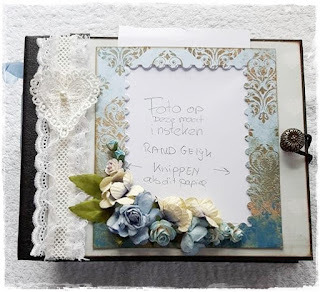 het boek heeft een hidden hinge plus zodat de bladzijden plat kunnen liggen. gaan jullie hier ook eens kijken?